It's that time of year! We'll be keeping this page updated throughout the next few weeks to highlight which collegiate stars are turning pro and where they're going. New additions are being added below. Contact reporter Kevin Sully with tips at kevin.sully@flosports.tv. Jasmine Camacho-Quinn decided to just do it. The Kentucky alum will forgo her remaining year of NCAA eligibility in favor of a professional contract with Nike. Camacho-Quinn spent the past three years developing into one of the finest short hurdle specialists the NCAA has ever seen and doing serious work for the Wildcats as a critical leg on their 4x400m and 4x100m relays. At this year's SEC Outdoor Championships, she torched the 100m hurdles final in 12.40—just a hundredth of a second off of Briana Rollins-McNeals' NCAA record. In 2016, she won her first NCAA title in her marquee event, and went on to represent her native Puerto Rico at the Olympic Games in Rio de Janeiro. She closed her collegiate career with another individual title in the 100m hurdles at the 2018 NCAA Outdoor Championships, which she won in 12.54. Gabrielle Thomas, who set the collegiate record in the indoor 200m this March, has announced that she will forego her senior season at Harvard. Thomas announced on Twitter that she has signed with New Balance. Her collegiate career ends with personal bests of 11.19 (100m) and 22.19 (200m) with her most notable performance coming at the NCAA Indoor Championships where she clocked a 22.38 in the 200m, breaking the NCAA record and winning her first NCAA title. Thomas kept a prodigious schedule in 2018, competing in 43 races (as well as some appearances in the long and triple jump) across the NCAA and Diamond League seasons. After she finished second at the NCAA Outdoor Championships in the 200m, she headed overseas and ran in Diamond League races in Lausanne, Rabat, London, Birmingham and Brussels. Happy to announce that I am officially #TeamNB !! Houston sprinter Eli Hall has signed a professional contract with Nike. Hall won three NCAA titles in 2018. He swept the 60m and 200m at the NCAA Indoor Championships in March and was an integral part of Houston's 4x100m team that took the title at the NCAA Outdoor Championships. Hall's indoor 200m performance (20.02) broke Wallace Spearmon's American and collegiate record. Outdoors, Hall lowered his personal bests to 10.10 and 20.11 and placed second at the NCAA Outdoor Championships 100m behind his teammate, Cameron Burrell. UTEP's Michael Saruni will forego his final two years of eligibility after deciding to turn pro. The collegiate record holder in the 800m will remain in El Paso and continued to be coached by Paul Ereng. Earlier reports said Saruni had signed with Nike; however, Ereng said that was not the case. Saruni won the 800m at the NCAA Indoor Championships and continued his strong year outdoors when he dropped a 1:43.25 at the Desert Heat Classic on April 28th. The mark was a collegiate record and took more than a second off his lifetime best. At the NCAA Outdoor Championships, he placed third--his last race of the 2018 season. The Brooks Beasts have welcomed former Oregon Duck Sabrina Southerland to their training group. Southerland's breakthrough 2018 began at the NCAA Indoor Championships, where she shocked the field by winning the 800m title in 2:01.55, a 1.55-second PR, and continued as she reset her outdoor PR to 2:00.72 at the NCAA West Preliminary Round. The 22-year-old began her collegiate career at Georgetown, and transferred to Oregon for her senior year—a move that clearly panned out in her favor, as she also knocked down her personal bests in the 200m (24.75), 400m (54.80), 1500m (4:16.82), and the mile (4:36.30). It's been a big week for the Reebok Boston Track Club! Today, Robert Domanic announced that he's joining the Chris Fox-led training group, which also officially welcomed Ben Flanagan to its ranks this past Monday and includes Justyn Knight, Martin Hehir, Kemoy Campbell and Tori Gerlach. Domanic enjoyed a productive career at Ole Miss, most recently earning fourth in the NCAA Outdoor 1500m, along with a DMR title in 2017. He set his 1500m PR, 3:36.33, at the 2018 Bryan Clay Invitational this season and reset his all-time mile best to 3:54.73 last June. 2018 NCAA 10K champion Ben Flanagan is a new addition to the recently formed Reebok Boston Track Club, helmed by former Syracuse head coach Chris Fox and rounded out by talent in Justyn Knight, Martin Hehir, Kemoy Campbell and Tori Gerlach. Flanagan stunned the collegiate ranks this season by taking the Division I 10K title in a huge PR of 28:34.53 despite struggling with injuries, upending contenders such as Alabama's Vincent Kiprop and NAU's Tyler Day in a gritty race that saw him split a 56.9-second final lap. In the months since, Flanagan continued his stellar season, earning third at the Canadian national track and field championships in the 5000m and a victory at the Falmouth Road Race. Distance runner Mike Tate will be represented by Run-Fast Sports Management. The Southern Utah standout finished fourth in the 5000m at the 2018 NCAA Indoor Championships. He will return to Canada and train with the Speed River Track Club. 2018 NCAA Outdoor 5,000m champion Sean McGorty has signed with Nike and will join the Portland, Oregon-based Bowerman Track Club, he announced on Instagram on Thursday evening. The 23-year-old will join his former Stanford teammate Vanessa Fraser on the Jerry Schumacher-coached team, as Fraser signed with Bowerman in June. The first inclination that McGorty to Bowerman was a strong possibility came back in June, when he signed with sports agency KIMbia Athletics. 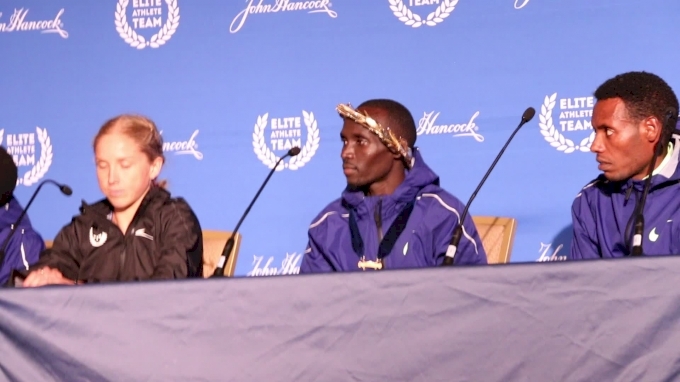 KIMbia represents many of McGorty's Bowerman Track Club teammates, among them Shalane Flanagan, Evan Jager, Courtney Frerichs, and Colleen Quigley. 2016 Olympian and U.S. triple jump record-holder Keturah Orji announced that she has become the first field event athlete to join the Atlanta Track Club Elite's roster. The 22-year-old set her U.S. record of 14.71m (48'3¼") at the Olympic Games in Rio de Janeiro, where she took fourth after finishing her sophomore year at Georgia. The reigning U.S. champion earned eight NCAA titles and three Bowerman Award nominations over the course of her career as a collegian—including one for this past season, which will be decided in December. Orji will continue to train under Georgia head coach Petros Kyprianou in Athens while receiving support from the Atlanta Track Club. NAU's Andy Trouard, who won the NCAA Division I 3000m title this past season and owns a 5K PR of 13:21.07, will take his talents to Eugene to compete for the Oregon Track Club Elite. He posted PRs across five distances this past season on the track, and was a top performer on the NAU team that won back-to-back NCAA Division I cross country titles in 2016 and 2017. 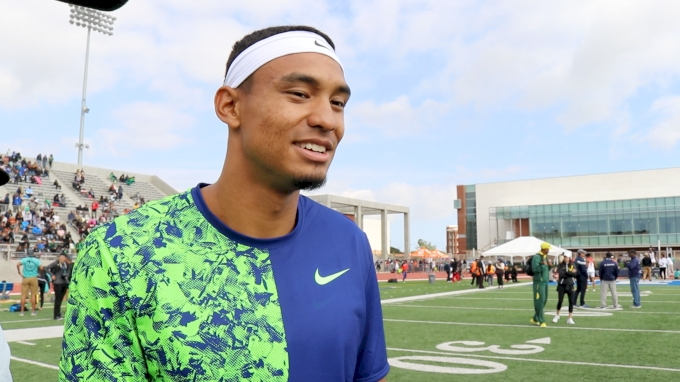 World and collegiate record holder in the 400m, Michael Norman of USC has signed with Nike. The full write-up on the signing can be found here. Robert Ford of USC is joining the Hoka New Jersey/New York Track Club. The 800m runner has a personal best of 1:46.43 and placed seventh at the NCAA Championships in June. At the U.S. Championships Ford placed sixth in the final. Excited to announce that Robert Ford (@robo_800), formerly of USC, is joining the HOKA NJ*NY TC! 1500m runner Sam Prakel has signed with adidas and will move to Seattle to be coached by Andy Powell. Powell coached Prakel during his career at the University of Oregon where he placed sixth at this year's NCAA Championships outdoors in the 1500m and third in the mile during the indoor season. Powell left Oregon to take the job at Washington in June. Prakel ran his lifetime best of 3:36.84 at April's Bryan Clay Invitational and has strung together an impressive summer. After the NCAA Championships, he placed seventh at the U.S. Championships and later lowered his personal best in the mile to 3:55.60 when he won the Morton Games in Dublin, Ireland. This Friday, Prakel will make his professional debut for the three stripes LIVE on FloTrack at Sir Walter Miler against competitors like Craig Engels, Ben Blankenship, Sean McGorty, Lopez Lomong, Pat Casey, and more. Justyn Knight has announced that he is joining the newly-formed Reebok Boston Track Club. According to the CBC, Knight has signed "a long-term contract as a foundational member of the team." He will be coached by Chris Fox, Knight's college coach who announced last week that he would be leaving Syracuse to pursue professional coaching opportunities. Knight won three NCAA titles during his time at Syracuse. He also qualified for the 2017 World Championships in the 5000m where he placed ninth. The Reebok Boston Track Club was rolled out on Monday and also includes Martin Hehir, Kemoy Campbell and Tori Gerlach. Six-time NCAA champion Karissa Schweizer has signed with Bowerman Track Club. The Missouri star won the 5000m at June's NCAA Championships and placed third in the 10,000m. On Saturday in Heusden, Belgium, Schweizer ran a personal best of 15:02.44, the first in a Bowerman Track Club jersey. This academic year she set personal bests in the 1500m (4:10.68), mile (4:27.54), 3000m (8:41.60), 5000m (15:17.31) and 10,000m (32:00.55). Jaylen Bacon, formerly of Arkansas State, announced his new contract with adidas today. In his senior year with the Red Wolves, Bacon ran a phenomenal 9.97 PR in the 100m at the NCAA West Preliminary Round to vault him to the top of the Division I descending-order list. Although he shockingly didn't qualify for the final at the NCAA Outdoor Championships, his 9.97 remained the fastest time run by a collegian in 2018. He also owns PRs of 20.18 over 200m and 6.56 for 60m. Alice Wright, Grayson Murphy and Erin Clark have all signed with Hoka NAZ Elite in Flagstaff, Arizona. The group features top female pros Kellyn Taylor, Aliphinie Tuliamuk and Stephanie Bruce. In June, Wright finished fourth at the NCAA Championships in the 10,000m, her fourth All-American honor in that event. She was also a four-time All-American in cross country during her time at New Mexico. Murphy took sixth in the NCAA Championships in the 3,000m steeplechase for the University of Utah. At the end of June, she placed seventh at the USTAF Championships in the same event. Last fall, Murphy took eighth in the NCAA Cross Country Championships. Clark, a Colorado grad, racked up six All-American finishes and has personal bests of 9:05.72, 15:30.59, 32:28.88 and 9:48.72 (steeplechase). Please join us in welcoming Erin Clark (@erinclark28), Grayson Murphy (@gbabymurphy) and Alice Wright (@AliceWright01) to the @HOKAONEONE / Northern Arizona Elite roster! Utah State's Dillon Maggard has joined the Brooks Beasts. The Seattle-based group earlier announced that three-time NCAA champion Josh Kerr was foregoing his remaining eligibility to run for the group. Maggard finished third in the 10,000m and sixth in the 5000m in June's NCAA Championships. He set personal bests in both distances this year of 28:38.36 and 13:30.02. Maggard is from the Seattle area and attended Lake Washington High School in Kirkland. Distance star Jacob Thomson is headed to Boston to train with the B.A.A. High Performance Team. The group is sponsored by Adidas. Thomson placed sixth at the NCAA Championships in the 10,000m for Kentucky. He also finished sixth in the same race in 2016. This season he set his lifetime best in the 5000m when he ran 13:41.33 indoors at the Iowa State Classic. Keturah Orji of Georgia has signed with Hawi Managment, the agency headed up by Hawi Keflezighi. Orji won eight NCAA Championships in the long jump and triple jump during her career, owns the collegiate record in the triple jump and is a finalist for The Bowerman. She's also taken the last three U.S. triple jump titles and placed fourth at the 2016 Olympics in Rio. Four-time NCAA champion and 2016 Olympian Raven Saunders has signed with Nike, according to Jeff Hartsell for the Post and Courier. The South Carolina native placed third in the shot put this weekend at USAs; she turned pro earlier this year. The University of Georgia will be missing two stud jumpers next year: graduating senior Keturah Orji, the seven-time NCAA champion, and now Kate Hall, who is forgoing her senior year to turn pro. She cited preparation for the 2019 IAAF World Championships as her reasoning to go pro early. The event in Doha, Qatar will be held at the end of September going into October, more than a month later than usual. It seems as though Hall wants to avoid competing all indoor season and during the early part of outdoor season to be at her best so late in the year. It will be interesting to see if other college athletes follow suit, or redshirt outdoors to prep for a late September championship. Hall won NCAA titles in the long jump at the 2017 outdoor championship and the 2018 indoor championship. Her career best is 6.73m/22-1. She placed 16th at this year's final in Eugene. Vanessa Fraser of Stanford, who most recently placed fourth in the NCAA 5K final, is rocking a new Bowerman Track Club kit in the USATF 5K. 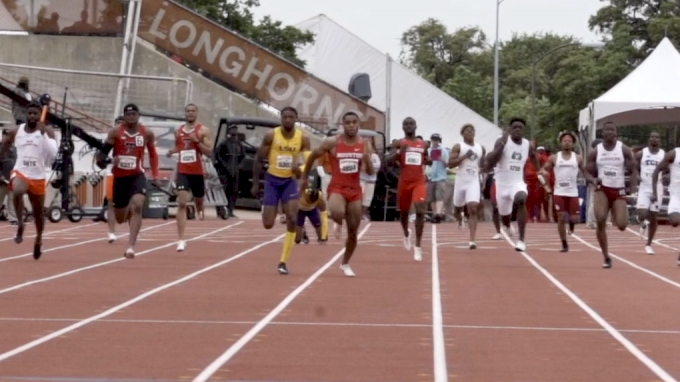 Michael Norman's not the only top 400m runner who won't be returning to the NCAA next year. His Auburn rival, Akeem Bloomfield, who ran 43.94 to place runner-up at the NCAA Championships, has signed a pro contract with PUMA according to the Jamaica Observer. Jamaican journalist Karen Madden reports that fellow Auburn 400m star Nathon Allen will also go pro this summer. Allen won the SEC title and was third at NCAAs in 44.13. The 22-year-old was fifth at the world championships last summer and ran on Jamaica's silver medal-winning 4x400m relay at the Rio Olympic Games. Two-time Bowerman Award finalist Maggie Ewen of Arizona State is attached to Nike, according to today's live results for the women's shot put. Ewen most recently became the fifth woman in NCAA history to sweep the discus and shot put titles at the national championship; she likely would have won the hammer throw as well if she had not fouled out at regionals. She is the collegiate record holder in both the hammer throw (74.53m/244-6) and the shot put (19.46m/63-10.25). Ewen also owns the 2018 NCAA indoor title in the shot put and the 2017 NCAA outdoor title in the hammer. It appears as though NCAA 800m champion Isaiah Harris of Penn State has signed with Nike, according to tomorrow's USA 800m final start list. The rising senior ran a PB of 1:44.76 two weeks ago to win in Eugene over collegiate record holder Michael Saruni. Last year at USAs, he placed second to Donavan Brazier to make his first world team. At the world championships in London, he advanced to the semi-final. The cutest couple in collegiate distance running, Arkansas' Nikki Hiltz and Therese Haiss, have signed with adidas. They will move to San Diego to work with Terrence Mahon. Sorry, Torchy's! NAU's Ashley Taylor, who found immediate success when she transitioned from the 400m hurdles to the 800m this year, has signed on with agency Total Sports US. The Canadian was fourth in the NCAA indoor final, third outdoors, and set a PB of 2:03.66. HOKA ONE ONE NAZ Elite has signed Loyola Marymount alum Danielle Shanahan to their Flagstaff-based roster. Shanahan graduated last fall and spent this spring setting personal bests across the board: 32:55.04 for 10K, 15:37.27 for 5K and 4:16.36 for 1500m. She is racing the 5K this weekend at USAs. NCAA 100m champion Aleia Hobbs of LSU will be represented by Global Athletics. I'm sure we'll see her debuting a new kit sometime this weekend...! The senior is a two-time NCAA champion in the 4x100m relay and her 10.85 PB is the second-fastest mark in collegiate history. On July 5, Hobbs announced that she signed with the three stripes! We are very excited to announce our newest team member, Emily Richards! @e_rich2one is a 9x D3 National Champion and holds a personal best of 2:00.62! The HOKA ONE ONE NJ NY Track Club has announced that they inked Division III legend Emily Richards, who will make her professional debut today in her second consecutive USATF Outdoor Championships in the 800m. She currently ranks No. 5 among Americans in the event this season. "HOKA NJNYTC has a great and talented group of middle distance women who I look forward to training with," Richards wrote in a statement. "I’ll never forget the way Coach Gag’s face lit up the first time I met him. That alone made me feel confident that I had found someone who believes in and cares about me and who will help me pursue my biggest dreams." During her tenure at Ohio Northern, Richards racked up a whopping nine Division III titles and whittled her personal best in the two-lap race down to 2:00.62—a Division III record—after kicking off her collegiate career with a 2:20. Total Sports US welcomed Sam Prakel of the University of Oregon to their ranks. The 2018 Pac-12 1500m champion is a multiple-time All-American, with a career-best NCAA placement of third in the 2018 indoor mile final. He joins the pro ranks with personal bests of 3:36.84 for 1500m and 3:55.89 for the mile. Leya Buchanan of the University of Oklahoma is another new add for Total Sports US. The reigning Big 12 60m champion has represented her native Canada several times on the international stage, including at the 2017 IAAF World Championships. Buchanan graduates with personal best marks of 11.17 and 23.40. Eleven-time All-American Elinor Purrier of the University of New Hampshire will stay in New England to jumpstart her professional career. 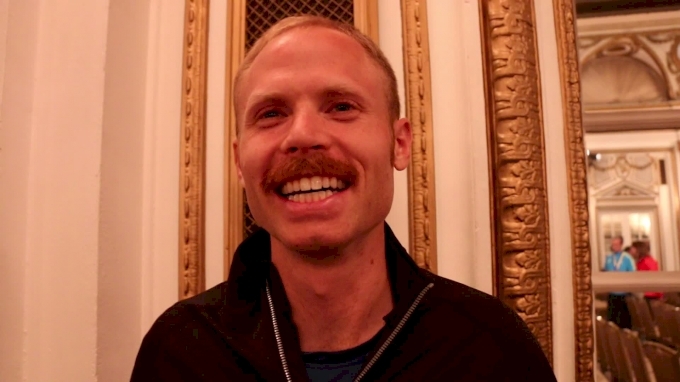 New Balance Boston coach Mark Coogan announced the 2018 NCAA mile champion as the newest member of his training group one day ahead of the USATF Outdoor Championships. She is represented by Flynn Sports. The highly versatile Purrier owns personal-best marks of 4:26.55 for the mile (NCAA #2 all-time), 4:10.08 for 1500m, 8:55.68 for 3K and 9:43.65 for the steeplechase. Andy Trouard of Northern Arizona has joined up with Total Sports US. The 2018 NCAA indoor 3K champion helped the Lumberjacks win back-to-back NCAA XC team titles in 2016 and 2017 and graduates with PBs of 13:21.07 for 5K, 7:48.21 for 3K and 3:41.40 for 1500m. He was most recently fourth in the NCAA outdoor 5K. Late Saturday afternoon saw Total Sports US pick up three-time NCAA champion Josh Kerr of New Mexico. The junior set the collegiate record for 1500m in 3:35.01 at April's Bryan Clay Invitational, though he finished just third in the NCAA outdoor final. He's a big fan of Nesquik. A press release from Brooks Running Company on Monday afternoon announced that Kerr will join the Brooks Beasts. The rising senior will finish his MBA at New Mexico before moving to Seattle to train under coach Danny Mackey. Kentucky freshman Sydney McLaughlin, the 400m hurdles NCAA champion and world junior record holder at 52.75, announced she was going pro at the conclusion of the NCAA Championships at Hayward Field. She hasn't chosen a sponsor or revealed an agent yet, but her coach Edrick Floréal confirmed that she—along with his full crew of pro hurdlers, including Omar McLeod, Keni Harrison and Kori Carter—will move to Austin as he takes over the head coaching job at the University of Texas after six years at Kentucky. Fellow Wildcat Jasmine Camacho-Quinn, the NCAA champion for 100m hurdles, tweeted that she will forego her final year of eligibility to go pro. She has hinted she will move to Austin, Texas as well. USC sophomore Michael Norman has signed with California-based HSI Sports Agency after breaking the year-old NCAA record in the 400m with a world-leading mark of 43.61 in Eugene. Indoors, he broke the world record in the 400m with a mark of 44.52. He and his Trojan teammates also set NCAA records indoors and outdoors in 3:00.77 and 2:59.00, respectively. Norman's USC teammate Rai Benjamin indicated he will also turn pro in an instagram post. The junior achieved massive success in the year since transferring from UCLA to USC, the highlight of which was clocking 47.02 to win the NCAA 400m hurdles title—the second-fastest mark in world history. Benjamin also ran on USC's record-breaking 4x400m relays. He will be managed by Global Athletics. Another new face in the HSI stable is LSU's Mikiah Brisco, the 2017 NCAA champion for 100m who helped the Tigers set the collegiate record and win the NCAA title in the 4x100m relay this season. We're delighted to announce that NCAA 5000m champion Sean McGorty will be represented by Kimbia as he embarks on a professional career. Welcome aboard, @spmcgorty12! NCAA men's 5K champion Sean McGorty of Stanford has signed with Kimbia Athletics, which signals he may join the Bowerman Track Club as a plurality of Jerry Schumacher's training group is represented by Kimbia. NCAA men's 10K champion Ben Flanagan of Michigan will be represented by Dan Lilot for Aurum Sports Group. He will likely stay in Ann Arbor and continue to train with coach Kevin Sullivan as he finishes his master's degree. NCAA 5K runner-up Allie Buchalski of Furman will join the Brooks Beasts and be coached by Danny Mackey in Seattle. She will be represented by Flynn Sports. 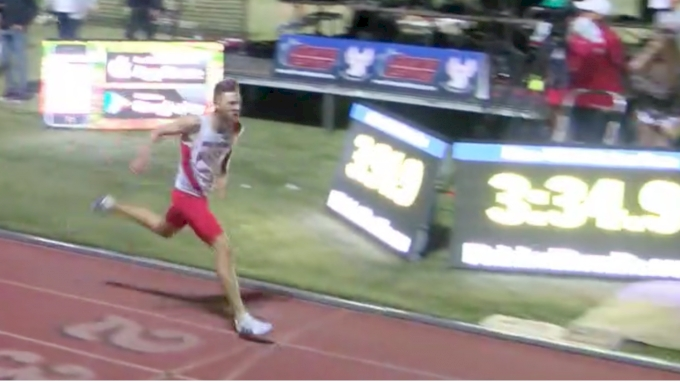 Three-time DII national champion David Ribich also recently announced his signing with the Brooks Beasts, who have a great history of developing non-Division I talent, including world indoor silver medalist Drew Windle. Two-time NCAA 1500m runner-up Nikki Hiltz of Arkansas may not actually be sponsored by Torchy's Tacos (but, boy, what a great idea) but she is working with agent Hawi Keflezighi, as revealed in her post-race interview in Eugene. &amp;amp;amp;amp;amp;amp;gt; NCAA Division III star Emily Richards of Ohio Northern will be represented by agent Chris Layne for Total Sports U.S. She is a nine-time DIII national champion with a personal best of 2:00.62. Richards caught national attention last summer when she made the USATF 800m final, where she would place eighth overall. Richards' Ohio Northern teammate, Matt Molinaro, will train with the HOKA NJ*NY Track Club. Molinaro is the reigning NCAA DIII indoor champion for 800m and owns a PB of 1:48.92.